nutrition, such as a grain of rice or a dead insect, the others quickly join and rake in the spoils together by instantly forming themselves into a long line of workers. Once the food is cleared, the party breaks up again and moves onto the next project. The system is efficient because it moves man power only into places that matter. This model of letting arguments decide instead of hierarchies and bosses also extents down to the details of product development. 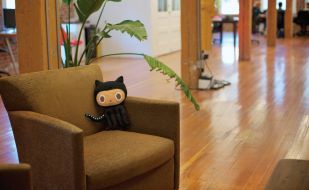 At Github, every software developer can jump into every project and propose new code sections. He can open a new branch, which copies the existing code and the history of changes and work in his proposals. He then tags his proposal as a pull request and if the co-workers on the project think the amendments have merit and pass their tests they will add them to the master code and deploy them to the product. It is key to approach to software development to constantly push out changes to the code. This reduces the risk that bigger errors are introduced to the code that may be difficult to fix at a later stage and it enables teams to quickly respond to changes. Frederik Richter has worked as a financial journalist since 2004. He has reported from more than 15 countries in the Middle East, Asia and Europe, focussing on the interplay of politics and business in emerging markets and particularly in the Arab world. For several years, he worked as a Reuters correspondent in the Gulf where he wrote about investment and financial markets. Having taken an interest in the innovation prowess of social media during that time, he is now based in Thailand as an independent journalist and editor.